As some of you likely know, home ownership isn’t easy. Sure, it seems very easy at first, but once something goes wrong, you really quickly miss the days of renting and knowing it was someone else’s problem. It gets even worse if you are looking for receipt/delivery papers for warrenties. More than once, we had to eat the cost of repairs because we couldn’t find the information we needed, in a timely manner, to get something we needed repaired. Most of the time, it meant repairing it ourselves but it would have been nice we had something we could quickly grab for information. Luckily, Black & Decker has the perfect answer for homeowners like us – the Black & Decker Home Planner & Logbook. Black & Decker Home Planner & Logbook: What is It? Want a book to help you keep up with all the little things about home ownership? If so, we think you will love the Black & Decker Home Planner & Logbook. This book allows you to keep all the information about your place in one place by documenting the history of your house in one place. As well, it gives you information on things you need to know about your house, such as appliances, repairs, and simple DIY projects you can do in your own home. With illustrations, tips, and simple information to help you decode different systems in your house, homeownership just became a lot easier with the Black & Decker Home Planner & Logbook. Honestly, I wish we had a book like this when we first moved into our home. All the information about our appliances and about the age of different things in our home is scattered in filing cabinets. If something breaks, we have to spend an hour looking for it and hope we have information on it somewhere (thankfully the past owners left us most of the information). With this book, you can not only keep all the information on your home in one convenient, easy to use place, but can also get quick information on common home repairs or what to do in house emergencies. Really, this book is a must for any new homeowner. Based on our own experience, we are delighted to give Black & Decker Home Planner & Logbook an A rating! 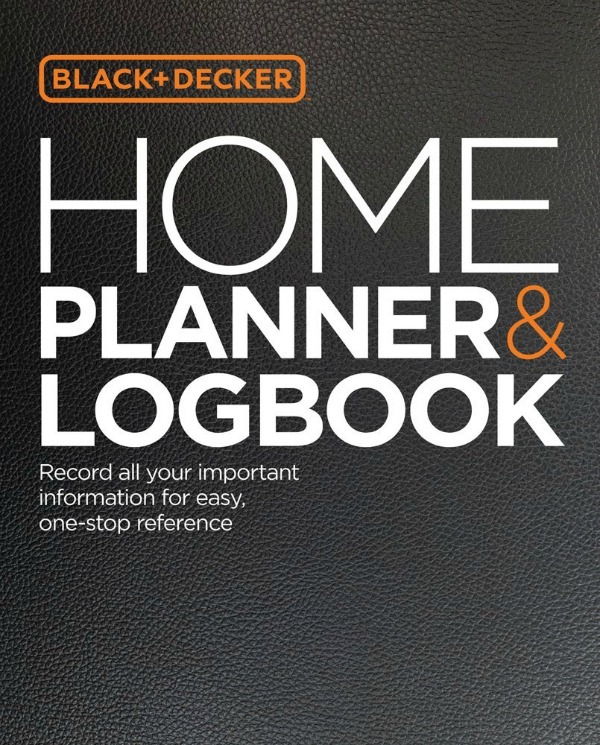 Black & Decker Home Planner & Logbook: Where to Purchase? Want to purchase this book for yourself, or someone who just purchased a home? You can buy the Black & Decker Home Planner & Logbook on Amazon.com for only $14.79. This is something every home owner should have. Like you said, it’s always something. When I put papers away it’s fresh in my mind, so I’m sure I’ll remember where they are. It doesn’t happen. I’m always going through piles looking for one thing or another.